Aluminum Extrusions refers to the process of creating shapes using an aluminum billet (log) by forcing it to flow through a opening in a die. 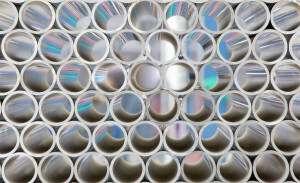 Aluminum can be extruded into standard shapes or specific designs depending on the customers needs. Aluminum Fabrication refers to building aluminum components by cutting, mitering, notching, piercing, bending, CNC machining, mechanical assembly and welding. Aluminum Anodization is an electro-chemical process of coating aluminum with a thin layer of oxide to increase corrosion resistance, harden the surface and provide an array of colours. Yes, aluminum is 100% recyclables without losing its original qualities. Apex Aluminum Extrusions recycles ALL of its scrap aluminum. What geographic regions does Apex Aluminum Extrusions supply to? Apex Aluminum Extrusions has a growing base of customers throughout Western Canada. We are currently shipping to Vancouver, Burnaby, Kelowna, Coquitlam, Surrey, Langley, Portland, Seattle, Calgary, Edmonton, Regina and other cities through the Pacific North West.